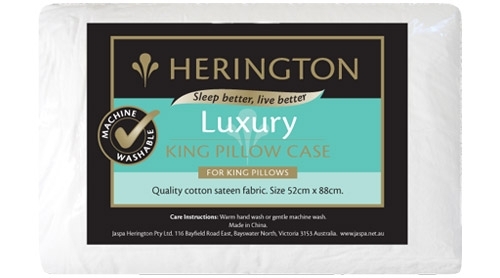 A larger King size pillow case for King pillows (52cm x 88cm). Quality cotton sateen fabric. Super quick service ,quality product Review by Geoff T.